The British Citizen Awards chose Church House Westminster to host its bi-annual awards reception for the fourth year running, on Thursday, 25 January. The event at the Westminster venue took place in the Assembly Hall, and a presentation ceremony followed at the House of Lords. 36 individuals were recognised for the exceptional impact they have had on the community and presented with a British Citizen Awards Medal of Honour. Hosted by Matt Allwright, eight individual category medals were presented for services to industry, education, arts, business, healthcare, volunteering and charitable giving, community and international achievement. All categories are underpinned by the overarching qualities of transparency, integrity, determination and achievement. Church House Westminster is one of London’s most versatile event venues. The AIM Gold accredited venue offers 19 flexible event spaces, which accommodate between 2 and 664 guests, and hosts a wide variety of events including meetings, conferences, awards ceremonies, gala dinners and receptions. For more information call 020 7390 1590 or click here. More than 200 event planners came together at London’s QEII Centre on Tuesday, 6 February to see the venue present a sparkling showcase of its flagship evening events space. One of central London’s largest event venues, the QEII Centre invested in the refurbishment of its fifth and sixth floors as part of a £12m capital investment project, creating a combined space perfectly suited to evening receptions, banqueting events and award ceremonies. Lit with the warm glow of bejewelled chandeliers, branches radiating light and glowing orbs as table centrepieces, it was a world away from the traditional conference set up many were used to seeing, and provided the ideal backdrop for the three-course dinner served by QEII’s in-house caterers, QEII Taste by Leiths. More information about the QEII Centre can be found here. The ‘Hallo-Westminster’ event at One Great George Street offered over 200 event planners the chance to meet the collection’s eclectic mix of 35 scarily good venues whilst enjoying some ghoulish trick or treat fun. The entertainment came alive as Viva Live Music’s opera singers performed Phantom of the Opera classics whilst some guests had their faces painted by UK Facepainters & Community Giants and others piled into Effect Event’s spooky photo booth. The event space was transformed into an Autumnal affair with floral arrangements by TBR Floral Designs and equipment from Thorns Furniture & Catering Hire and Eclipse Presentations, setting the perfect Halloween scene. Big prizes were on offer in the trick or treat prize draw, including; dinner cruise for two with Bateaux London, a tour of the Royal Society with afternoon tea for two and dinner for two in The Lansdowne Club’s Dining Room. Posted in Events, Networking eventsTagged Events, Networking events, Venue showcaseLeave a Comment on A spook-tacular Hallo-Westminster showcase! Church House Westminster has once again achieved the highest level of venue accreditation – AIM Gold. Securing the nationally recognised accreditation for a second time cements the venue’s position in an elite group of venues and it also demonstrates Church House Westminster’s commitment to capability, compliance and competence. To achieve the Meetings Industry Association’s AIM Gold, the venue underwent a rigorous independent auditing process which saw a panel of independent industry assessors scrutinise the whole customer journey and business processes including resources, creating the customer environment, service delivery and continuous improvement. 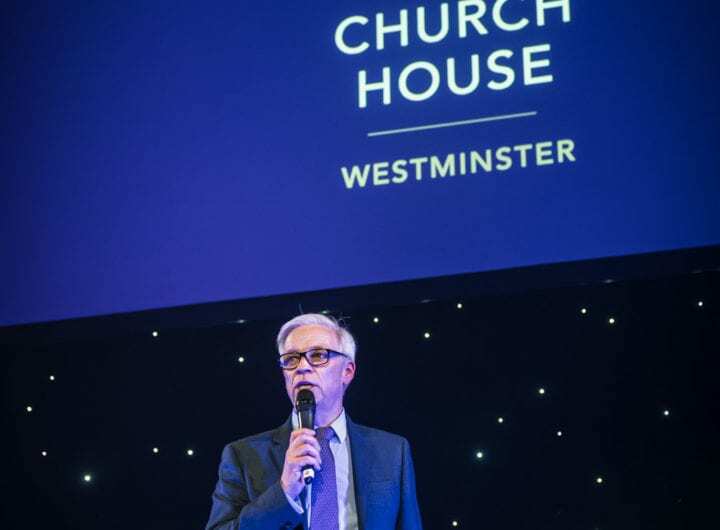 Church House Westminster is one of London’s most versatile event venues offering 19 flexible event spaces, which can accommodate between 2 and 664 guests, and host a wide variety of events including meetings, conferences, awards ceremonies, gala dinners and receptions. For more information, call 020 7390 1590 or visit www.churchhouseconf.co.uk.